The arts and politics have had a relationship spanning many, many centuries so it was a natural progress for politics to merge into motion pictures when it was invented. As we have looked at before, we know documentaries and propaganda films are the most obvious examples. However there is usually some political issue in most films, both mainstream and independent, whether it was intentional or not. That’s a lot of movies to choose from! Here are four, spanning over the 100+ year old industry, which will help us get a glimpse of its history. As usual, you blow me away with your research. What a great topic for you! HW does really make a large impression on our society, doesn’t it? Thank you LB! Yes, I knew it made an impression on society too but I Am a Fugitive from a Chain Gang did surprise me with the extent it had amoungst the public! I love this article. I’m want to try to resist talking too much, but impulse control seems pretty low today, so I’ll try to at least avoid being long-winded. Your tongue in cheek “glimpse” of political films is fantastic for how finely you have chosen your few films. The fact that you’ve addressed how these films impact the social environment we live in is impressive also. Give me time, I saw a really great documentary and I will post it here later pertaining to Warner Brothers early history. That documentary talked about how “I Am a Fugitive from a Chain Gang” is of a few great Warner Bros. early films that were socially responsive or conscious regarding the times the movie screened. Fake looking punches in the trailer aside, the documentary highlighted how this movie was controversial for it’s many scenes of misery and brutality against of prisoners. The documentary was really excellent about detailing the few films that were decidedly socially conscious. Those few films were really inspirational. It sounds good, I’ll have to find somewhere that sells it or streams it! “Problems with white journalists”, his argument with the African-American community was just as difficult. Spike Lee had a very public turf war battle with poet Amiri Baraka/Leroi Jones during much of the film’s development (see below). Given the political leader was as inspirational to many as he was polarizing to others, Malcolm X inspired a fierce loyalty that had ripple effects across a lot of arts communities. Thank goodness the film was good enough to be an acceptable chronicle of the controversial leader’s life. I think Washington received one of his first oscars nominations. Ozzie your take on a lot of this firestorm (across all American communities) was as tactful as it is tasteful. Thank you! Yes, I had read that there were riots or protests during filming about how much they were going to protray of his story? If I worked on that project I would of had massive stomach ulcers due to the amount of stress and pressure thrown about! Regarding Proposition 8 and the film “MILK,” let’s say you’re a California resident and you don’t have an appreciation for diversity. How about, like the movie, purely recognizing all of the ways the LGBT community has contributed to the best of what we practice in law, medicine, the arts, psychology, sports, etc. Oh well, fortunately Hollywood did not drop this ball. Yes, I was glad when Milk won it’s Oscars. It was a shame about the out come of the vote. Hopefully, things will change soon! Great! Great! 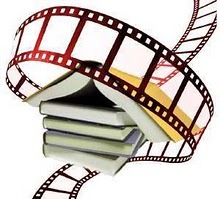 Great film research and perfect social awareness examples. In your research did you find other arts besides film, who participated in the same social causes through their work? Let me clarify. Did other arts like visual, dance or theater arts ever take up these social causes u mentioned in your article? I hope that is a better clarification. Sorry, I disappeared! I was trying to remember and find some other research I did on this. The statues and sculptures I found were definately not safe for work so I leave them out! I even found a few interpretive dances! There’s a a dance/dramatic art video by anti gay adoption group in France, which I won’t post as I believe in equal rights. However, it’s getting noticed by the media and it’s not hard to find. It’s very wierd though! And this one is sort of off topic but I found it inspiring and thought you all might like it too! There was a film about the Equal pay act of 1970 in the UK. I thought it was quite inspiring. In the UK do u think films like these are influential in bringing about social change in the country? The reason I ask this film was released in 2010, well after this event occurred. So I was wondering if UK audiences are more attracted to it’s historical elements than being preached too? In other words would this film ever gotten made in the 1970’s given it’s controversial topic and appealed to UK audiences? Hmmm, I’m not sure on documantary films. We do have them of course, I just don’t reember seeing any at the moment. We do have alot of documentaries (1 hour long usually) on the main TV channels. They are fantastic and they are the ones that change the way we live. There’s one just recently which has blown a whole lid off something (not going to mention what because it’ll bring the whole tone of the discussion down and I will get very angry, cry and possibly vomit!) and they’re investigating it more so there’ll be follow one up soon. As usual, they can be vicious and career enders but they bring it to the public’s attention and something get’s done about it. This film was a drama not a doc. But are u saying more docs. are better received in the UK rather than a dramatization of an event? Thanks Ozzie great answer to my Q. Sorry I should have said that first before diving into another Q. LOL!! Lol! I could probably expand on it but I’m not sure if I made sense and would probably repeat myself alot! “Made in Dagenham,” it’s odd how few films you see like this. I’m not sure any community (other than the U.K. film community) does such a good job portraying big (societal) ideas in such an otherwise small (intimate) movie. Welcome to tonight’s discussion old and new friends! 🙂 Feel free to jump right in! Ozzie I am so sorry I am late to the discussion! Oh! Sorry I’m late to the discussion also. This was such a great and informative, well researched topic Ozzie. Thank u! I’m late but trying to catch up. Seems I missed you. Thanks for the interesting article. Hi CR! 🙂 I’m still here but I don’t know for how much longer, lol! Sorry I showed up late! Let me catch up! Ozzie, are you still here? Extremely informative article. Great Job! In your research did you find i’m just curious to see if the U.S. government has ever asked Hollywood to make a film in order to condition the people for governmental changes? I hope that made sense. Thank you! Very good question! I don’t think I came across any but it wouldn’t surprise me. Over the last few years we’ve had alot of Middle Eastern war films or so I’ve noticed. I’m not saying they are conditioning us because we’ve had on going conflicts going on in that region for decades now but we’ve probably got a long way to go before we ever achieve peace. So I don’t see them going out of fashion anytime soon! I’m going to go for the night. Great article!